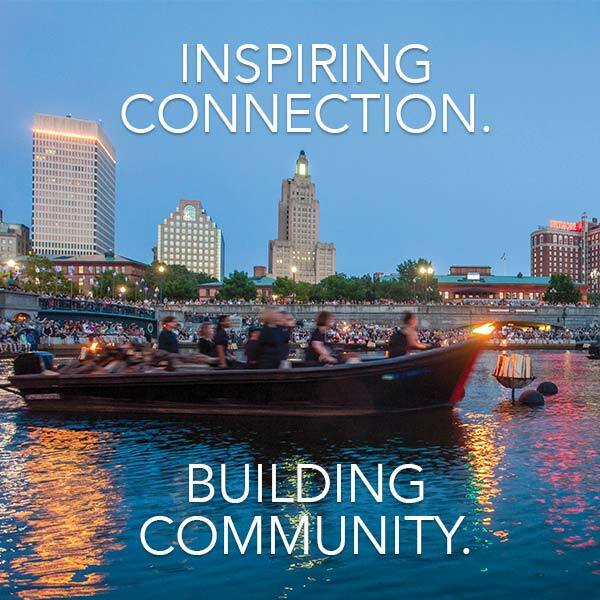 WaterFire is a very popular public event where you will join thousands of Rhode Island residents and out of town visitors who to come downtown Providence to enjoy an evening out with art. Like all large public events, it makes sense to plan and prepare for your visit, so we want to give you a few handy tips and reminders about how you can have the most enjoyable and safest experience at WaterFire. WaterFire can get very crowded, especially at peak times just before and after lighting; therefore, we strongly recommend that you consider this as you plan your trip. Arrive early. Since WaterFire is open to all and has no restricted seating or VIP areas, the earlier you arrive, the better your chances are to get your preferred spot along the river or in the parks. Lighting typically takes place in Waterplace Basin approximately 15 minutes after sunset; however, we strongly encourage you to refer to the event schedule for all of the details on the specific lighting you plan on attending. Orient yourself. Check out our new interactive map before you travel to Providence. After you arrive at WaterFire, find one of our volunteer WaterFire Ambassadors for a handy pocket guide which has a map and a schedule of the evening’s events. Please don’t bring any large or bulky items as they will make navigating the crowds difficult and potentially hazardous to you and other visitors. It’s New England, be prepared for a diversity of weather and dress accordingly. WaterFire takes place in a park and other public spaces over a variety of terrains including cobblestones pathways. We highly recommend that you wear comfortable, walkable shoes. In our modern security conscious world, it’s absolutely essential that you keep your backpacks, packages and other items with you at all times. Unattended packages will be brought to the attention to the police and dealt with accordingly. If you see something, say something. If you see suspicious activity or packages, please report it immediately to the nearest Providence police officer or WaterFire staff member or volunteer. Please note that WaterFire staff and volunteers will have identifying credentials. 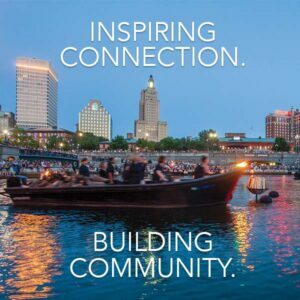 If you are coming from out of town, please make sure you spend some time on our Plan Your Trip to Providence webpage which has information about hotels, restaurants, directions and parking, other arts and culture activities and much more. Providence is a wonderful city with so much to offer residents and visitors; we hope you are able to experience as much of it as possible on your trip to WaterFire. Remember that WaterFire Providence is a 501 (c) 3 nonprofit organization that relies on charitable donations and generous sponsor support. Your gift makes a real difference in our ability to meet WaterFire’s mission of “inspiring Providence and its visitors by revitalizing the urban experience, fostering community engagement and creatively transforming the city by presenting WaterFire for all to enjoy.” Please consider making a donation at one of the WaterFire Guest Stations positioned throughout the installation or better yet, please donate here now. You can also support WaterFire by purchasing Official WaterFire merchandise at our pop up event store at the corner of Canal and Steeple Streets and at one of the WaterFire Guest Stations you’ll find scattered throughout the installation. 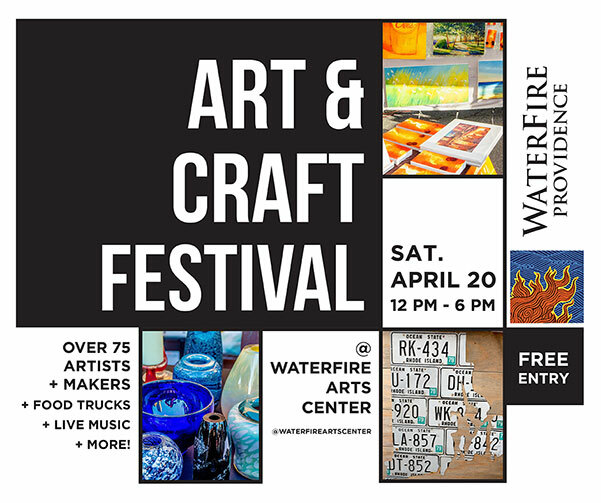 Take home one of our cool t-shirts or beautiful posters or prints and you’ll have a great keepsake of your experience and will be supporting WaterFire Providence, a 501(c) 3 arts nonprofit at the same time. This summer we encourage you to download the Square Wallet smartphone app to make your purchases at the WaterFire Event Store and donations at our new WaterFire Guest Stations. No more fumbling for your wallet, credit cards or cash in the dark. Square Wallet will allow you to make a secure, quick purchase or donation. As a thank you for using Square, we’ll give you 25% off your first purchase of Official WaterFire merchandise and you will get a $10 coupon after you’ve made ten $10 minimum purchases or donations over the course of the season. We constantly strive to make sure your WaterFire experience is fun, magical and safe. Please let us know how you enjoyed it! Peter joined the WaterFire Providence team in March 2011 to co-lead the organization with Barnaby Evans, founder and executive artistic director. Previously, Peter served as executive director, ceo and board member of the American Sail Training Association (Tall Ships America). In 2006, he founded Sea-Fever Consulting LLC, a management consulting firm focused on strategy, communications and leadership development and launched the Weekly Leader blog and podcast. Prior to that he had a 20 year career in financial services working in New York, Boston, San Francisco and London. Life long mariner, photographer and art fan, he lives in Mattapoisett, MA with his wife Jenny and children Luke (10) and Joy (8). Hi -where would you suggest parking for tomorrow’s waterfire? Hi-when is the new WaterFire show starting this year (2019)? Hi Chiara, typically we don’t have the season schedule dates available until the end of April. We are trying to release a partial schedule of select dates earlier this year. Stay tuned for updates. Thanks for supporting WaterFire Providence.